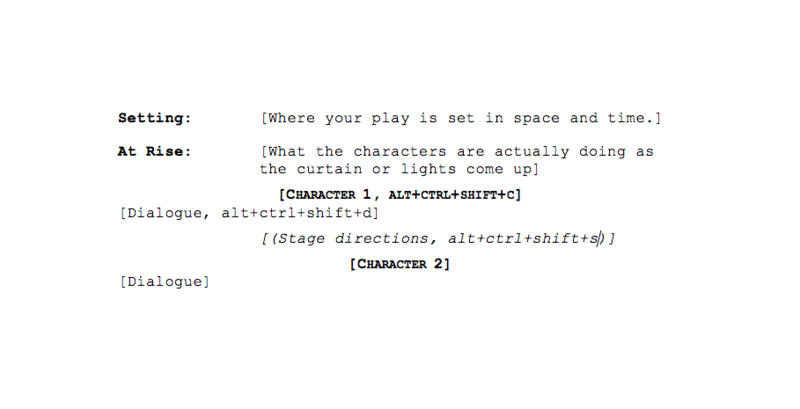 Here are resources for formatting your play script. There is no single, go-to standard script format standard. But there are standards. And the more of these standards you use and the more of these standards you adhere to the more acceptance you garner as a Submitting Playwright. A good page of resources. This BBC file for play script formatting is probably the cleanest and best way to build a script. The MS Word DOCX version is under this PDF viewer.